Really does a great job of keeping my very curly hair from becoming frizzy, even on hot, humid days. Restart the clock on healthy hair. Over time‚ product buildup causes hair to look dull and lifeless. 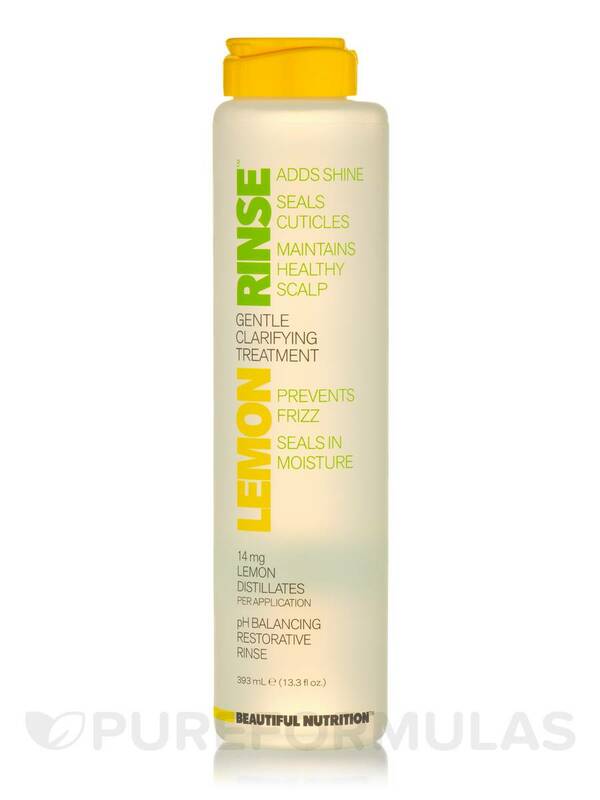 Lemon Rinse™ Gentle Clarifying Treatment returns hair to its natural glory with active lemon extracts that gently cleanse and tone‚ rapidly restoring weightless body and shine. Water (Aqua) (Purified)‚ Glycerine (Vegetable derived)‚ PEG-45 Palm Kernel Glycerides‚ Propoxytetramethyl Piperidinyl Dimethicone (and) C11-15 Pareth-7 (and) Trideceth-6‚ Silk Amino Acids‚ Citrus Medica Limonium (Lemon) Peel Oil‚ Folic Acid (Vitamin B9)‚ Lysine (Amino Acid)‚ Cysteine (Amino Acid)‚ Citrus Limon (Lemon) Oil‚ Citrus Aurantium Amara (Orange) Peel Oil‚ Citrus Aurantifolia (Lime) Peel Oil‚ (Organic) Citrus Limon (Lemon) Fruit Powder‚ Hydroxyethyl Cellulose (Plant derived)‚ Phenoxyetha- nol (and) Caprylyl Glycol‚ Polyquaternium-7. 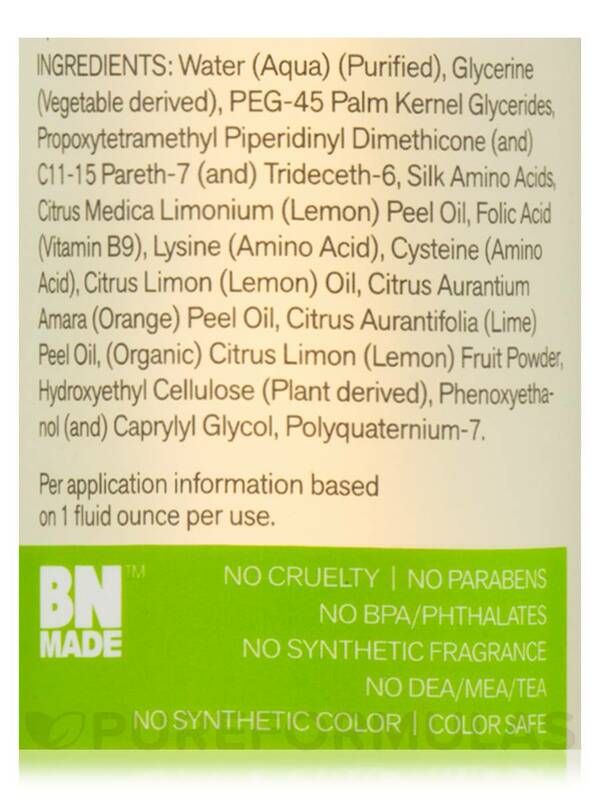 Per application information based on 1 fluid ounce per use. Cruelty-Free / Paraben-Free / BPA-Free / Phthalate-Free / Synthetic Fragrance-Free / DEA‚ MEA‚ TEA-Free / Synthetic Color-Free / Color Safe. 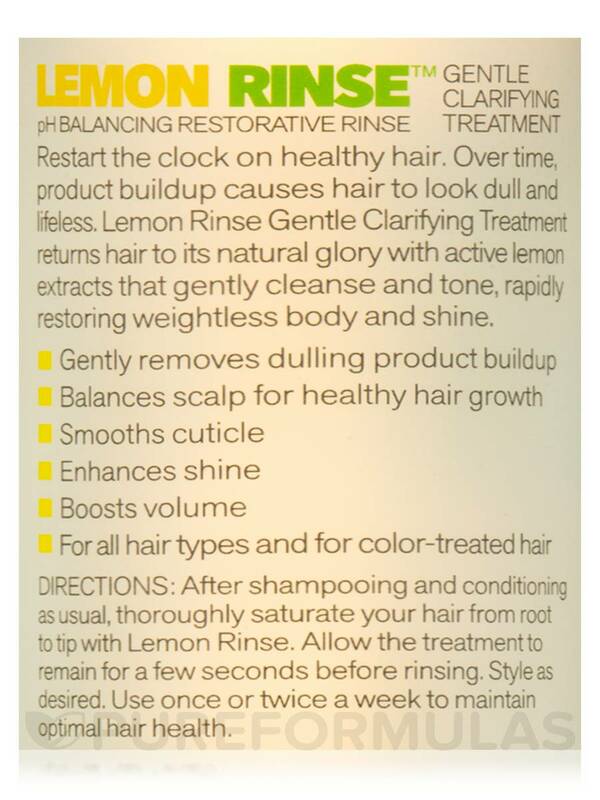 After shampooing and conditioning as usual‚ thoroughly saturate your hair from root to tip with Lemon Rinse. Allow the treatment to remain for a few seconds before rinsing. Style as desired. 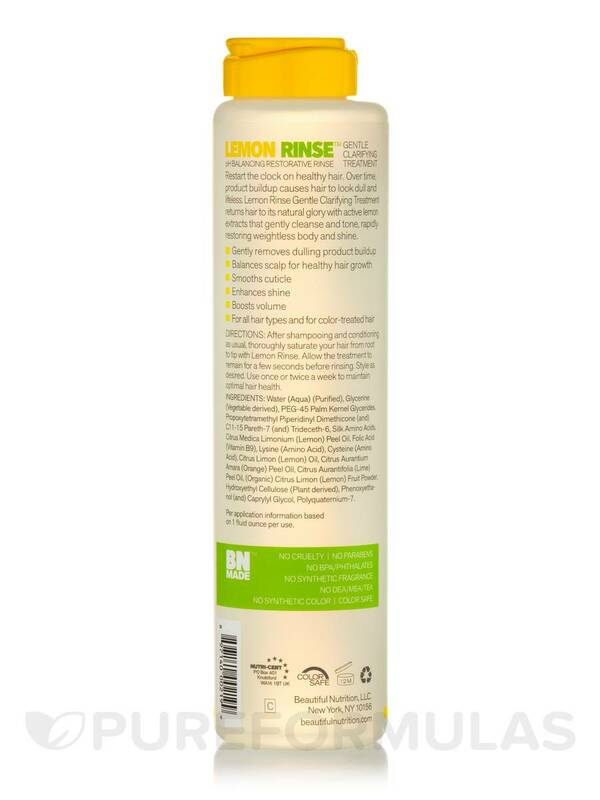 Use once or twice a week to maintain optimal hair health.